Cover art by Richard Corben. 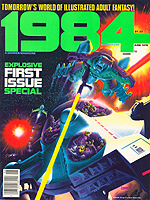 Includes contributions from Richard Corben, Esteban Maroto and Wally Wood. Magazine is Very Fine Plus. 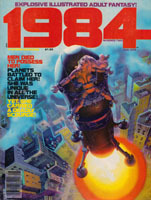 Cover art by Patrick Woodroffe. Includes contributions from Alfredo Alcala, Rudy Nebres and Alex Niño. Includes contributions from Herb Arnold, Esteban Maroto and José Ortiz. 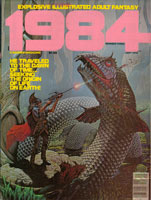 Cover art by Jim Laurier. Includes contributions from Richard Corben, Abel laxamana and Alex Niño. 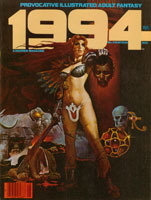 Cover art by José Bea. Includes contributions from Rudy Nebres, Delando Niño and Frank Thorne. Magazine is Very Fine Minus. Includes contributions from Vic Catan, Abel Laxamana and Alex Niño. 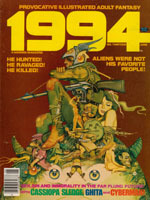 Includes contributions from Carlos Gimenez, Rudy Nebres and Alex Niñ0. 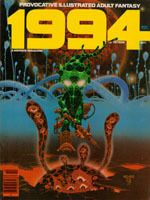 Cover art by Jordi Penalva. Includes contributions from Vic Catan, Abel Laxamana and Frank Thorne. 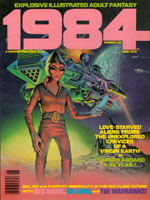 Cover art by Nestor Redondo. Includes contributions from Esteban Maroto, Alex Niño and Frank Thorne. 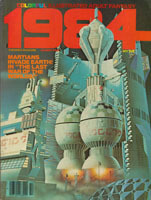 Cover art by Terry Oates. Includes contributions from Peter Hsu, Esteban Maroto and Jose Matucenio.